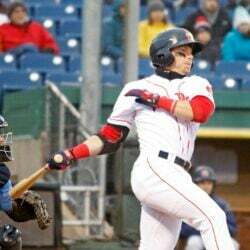 Red Sox prospect Bobby Dalbec, who was promoted to Portland on Thursday, drives in three runs. 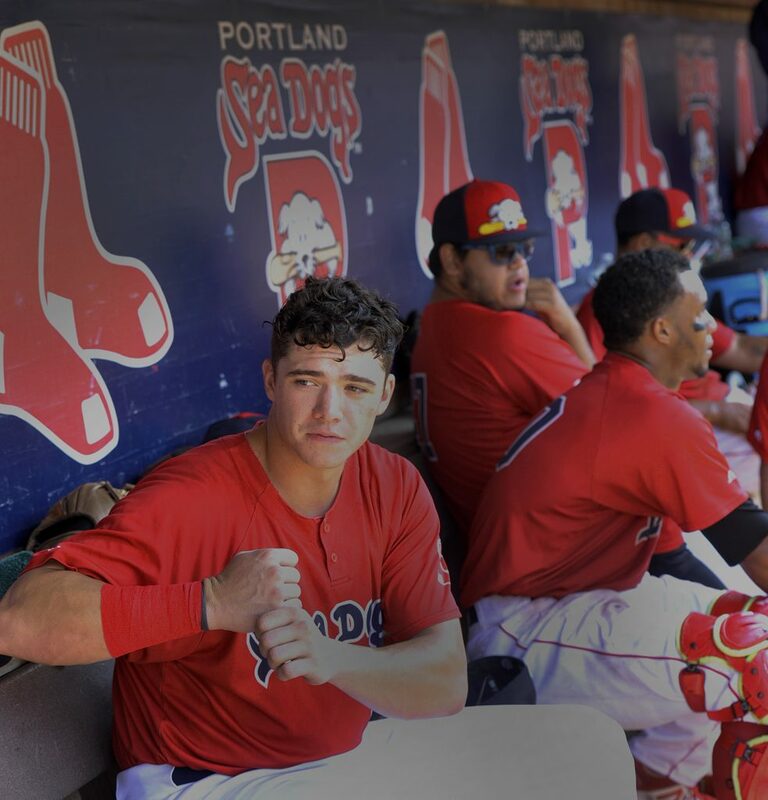 Portland Sea Dogs hitting coach Lee May Jr. has a new slugging prospect on his hands, with 23-year-old Bobby Dalbec promoted Thursday. But May isn’t anticipating extra work. 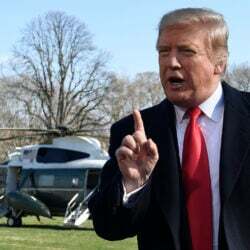 “I’m just sitting back, eating peanuts and watching the show,” May quipped. It was quite a show Sunday. 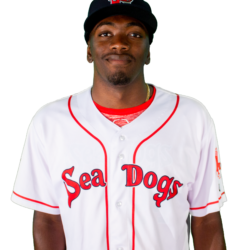 In only his third Double-A game, Dalbec swatted two home runs to lead the Sea Dogs to a 7-3 victory over the Richmond Flying Squirrels before a sellout crowd of 7,368 at Hadlock Field. 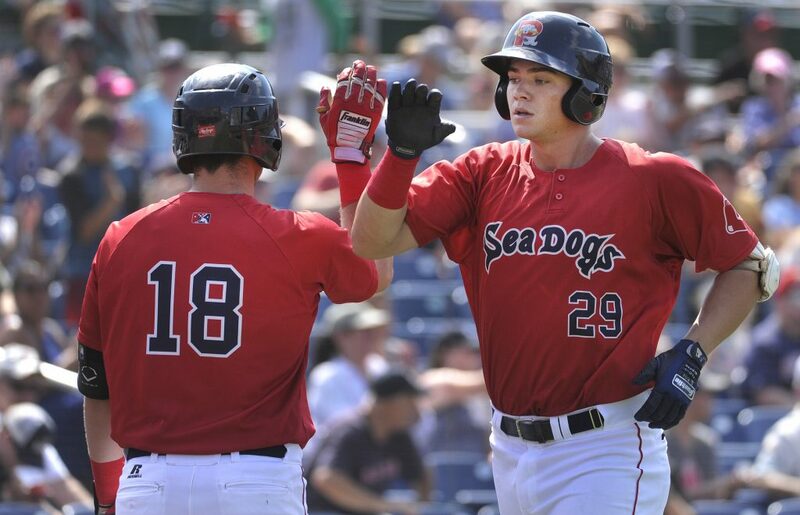 Dalbec, ranked the sixth-best Red Sox prospect by mlb.com, came to the Sea Dogs after hitting a franchise-record 26 home runs for advanced Class A Salem. In the third inning Sunday, Dalbec took an outside 0-2 fastball the other way, sending it over the right-field wall for a 371-foot homer. In the seventh, Dalbec received a 2-1 fastball from reliever Ryan Halstead and his jerky delivery. Dalbec crushed it, just to the left of the center-field batter’s eye – 451 feet. Keeping it simple … 451 feet. Dalbec was 2 for 3 with two walks – he’s now 4 for 9 in three games – and drove in three runs. Luke Tendler and Danny Mars also had RBI. 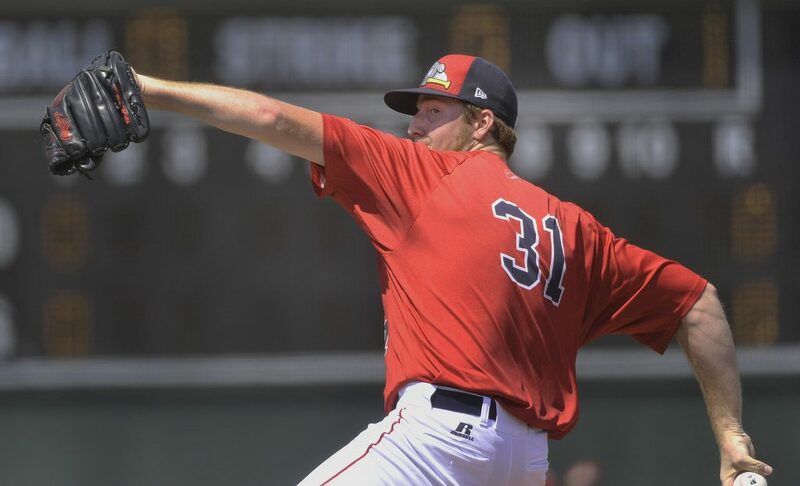 The offense was plenty for Sea Dogs starter Teddy Stankiewicz (7-9), who held Richmond to three runs over seven innings. Dylan Davis homered in the second inning and C.J. 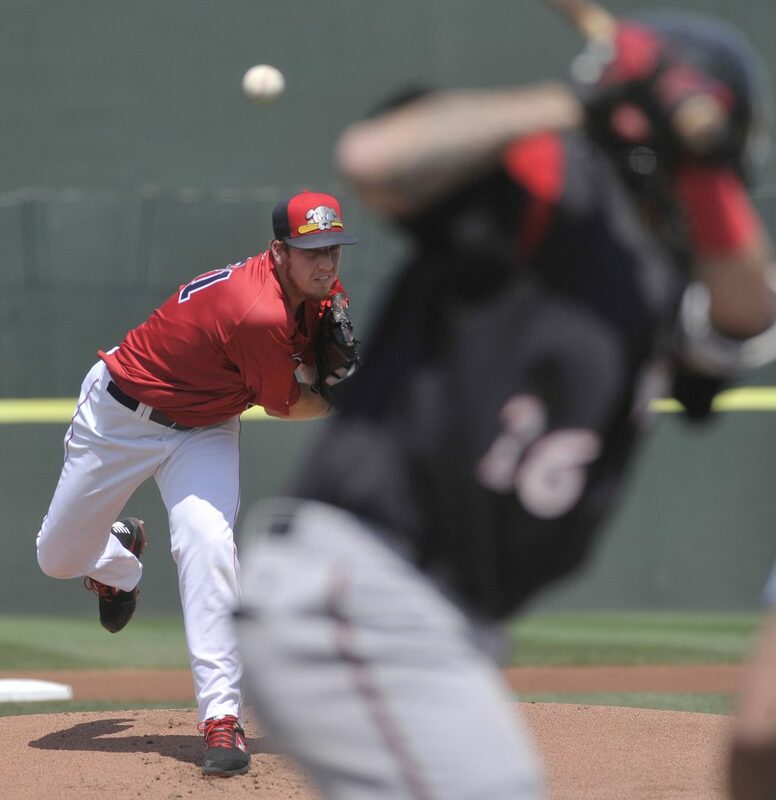 Hinojosa in the third for the Squirrels (53-58). Down 2-0 in the bottom of the third, Jeremy Rivera singled with one out. Dalbec came up and fell behind Logan Webb 0-2. Dalbec fouled off a high fastball, then got one on the outside corner at 93 mph. “Didn’t try to do too much. 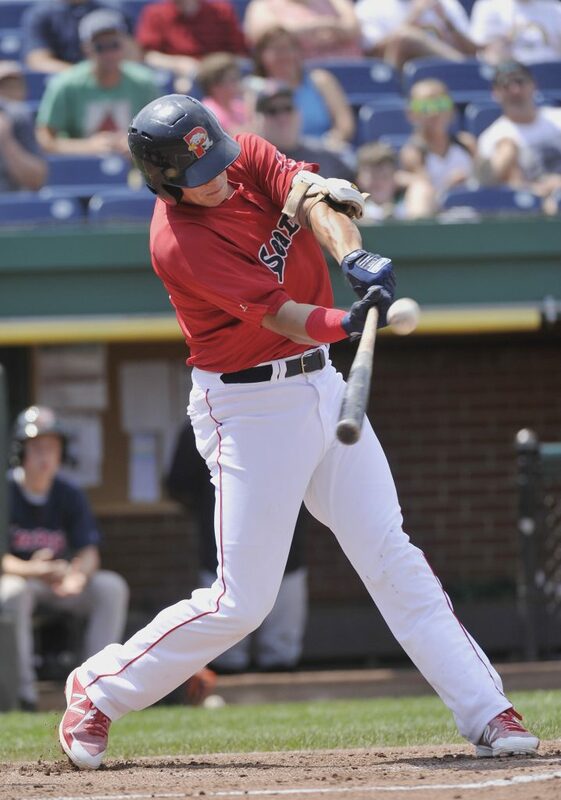 Just use a nice, easy swing,” Dalbec said of his first Double-A homer. Richmond got a run in the fourth. 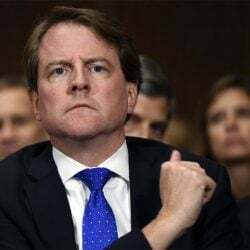 Portland threatened in the fifth. Johnny Bladel walked and stole second. With two outs, Dalbec came up. Webb, a top Giants prospect making his Double-A debut, got a visit from pitching coach Glenn Dishman. The strategy was clear: Dalbec did not get a pitch to hit – watching three outside pitches before being intentionally walked. But Tendler followed with a single to tie the game. Mars’ RBI double off reliever Garrett Williams (3-8) in the sixth was the game-winner. Portland padded the lead, including two runs in the seventh. Dalbec led off the inning and put his simple, easy swing on a 92 mph fastball. NOTES: The Sea Dogs (46-66) take Monday off before playing six straight road games, in Erie and Akron. The team then returns to Hadlock Field for an eight-game homestand from Aug. 14-21. … Sea Dogs radio announcer Mike Antonellis broadcasted his 3,000th minor league baseball game. … In Pawtucket, the recently promoted Josh Ockimey hit his second home run in three Triple-A games.